The pipette had a BB on the bulb, but I don't remember a T. When I PMed you the scans, you confirmed that it was Blue Balls. I do not have Blue Balls, though I am assuming it is similar to Blue Ball Diamond which includes Blue Balls. Based on experience with Bright Blue and Blue Ball Diamond and given the described packaging, I think this is Bright Blue. 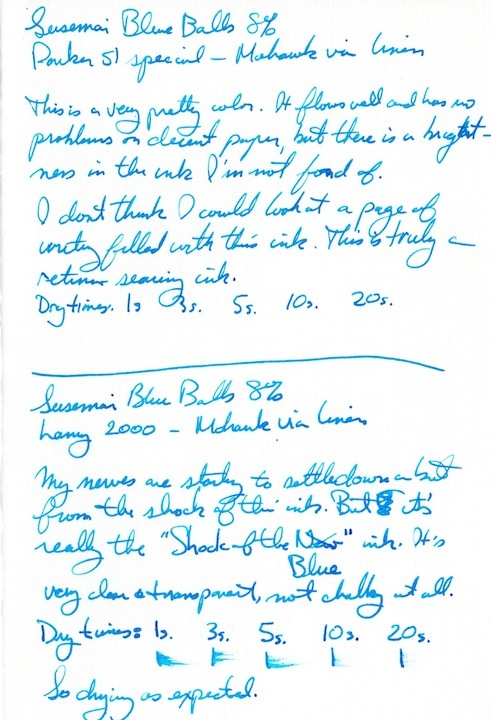 When you use broader nibs your scan shows a darker blue than what I could expect from Blue Ball Diamond. 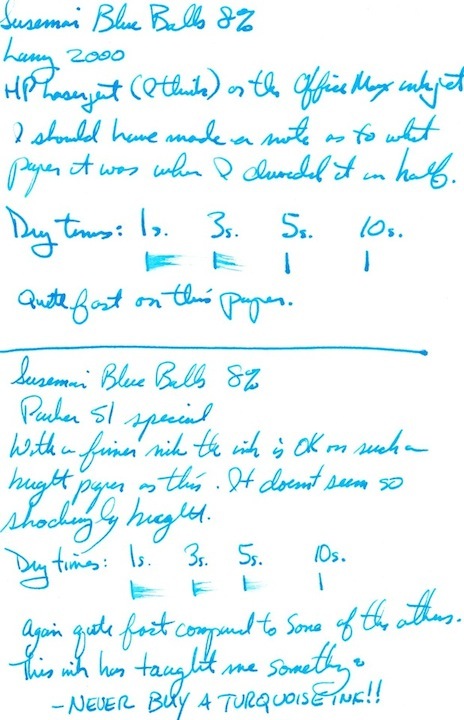 Additionally, the pipette was marked closer to how the Toucan Inks were than how the Susemai inks were. Lack of the T on the pipette would not be too surprising. With no effort on my part to remove it, them the marker has disappeared (washed off in handling apparently) from my pipette. I think that if this one gets remade, the problem will be fixed. The too wet feature was rolling-pin issue. Ah, I see. I hope that particular sous chef was summarily dismissed! No. We still love our lackeys and our inksters. We are hoping that someday they will grow into minions. 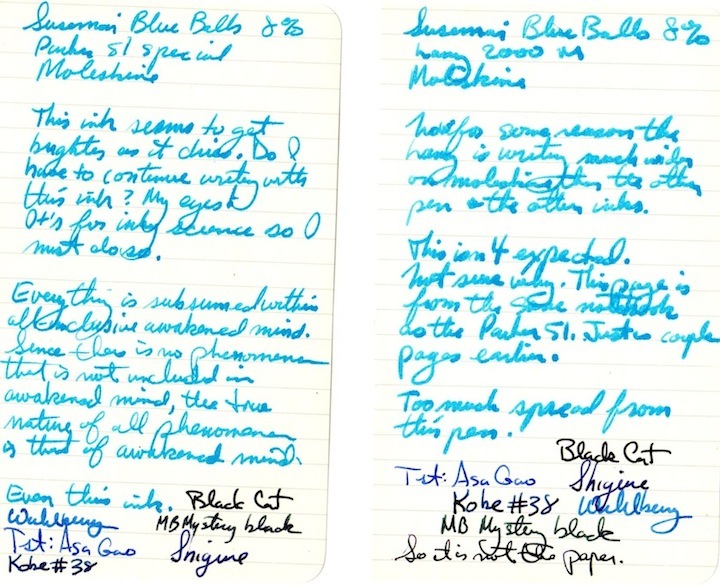 Here are the scans of my experiments with Susemai Blue Balls. I tried many different papers and two different pens. 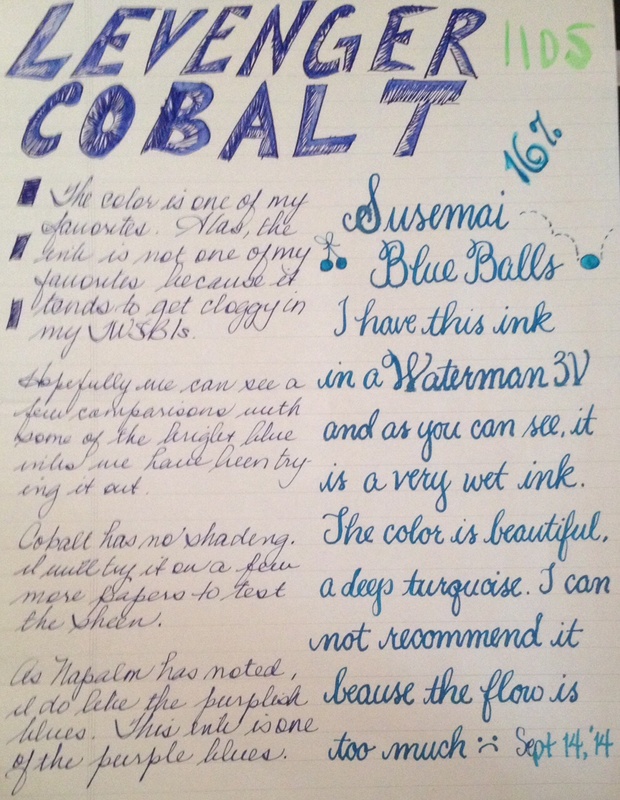 at 16%, this is a nice ink, flows well but not too crazy, good starter (usually), no feathering, bleeding, or ghosting, although I did get a little spread of my ink line. Subtle shading, even. 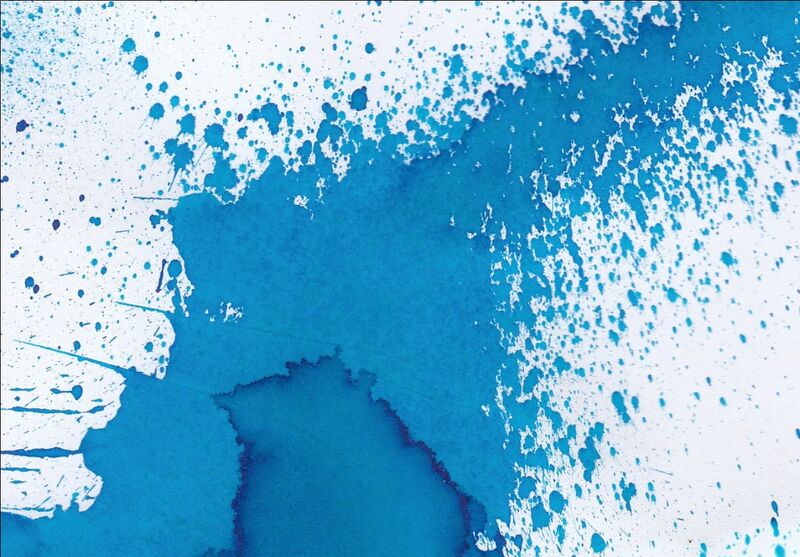 Great color, saturated ink. 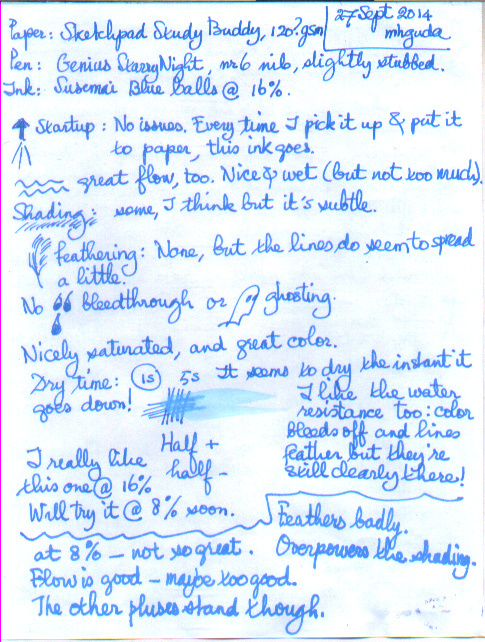 On my test paper it seemed to dry instantly. Wow! However, at 8%: it's not so great. A gusher! and feathers and spreads to the extent that I've dumped it from the pen after 1/4 of a page. I find that at 8% the color is a little too light & bright. So, this one, for me, would be either a mixer at 8% (tried it with black, it's neat!) or straight at 16%. At that concentration I would definitely want more of it. So thanks, team Susemai, for making this available! 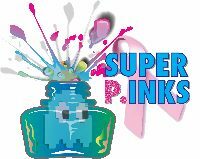 it's an ink with great potential. The color of yours also appears to have a little more lilac... interesting. This is me, not saying ANYTHING!!!! Oh, that's plural like "All Ya'Alls"
I'm a little late to the party, but I come with pictures of my blue balls! The headline will read "Man With Blue Balls Leads Others In Inky Mob, Demanding More Blue Balls - Police Called In To Intervene. Ink Maker SuSeMai Not Available For Comment". Hopefully you will be allowed to correspond with those of us not in prison, so we can keep smuggling in more Susemai Blue Balls to you. Just don't tell Bubba my balls are blue.